This recipe is perfect for those of you who are vegan, don't like the taste of fish, or are looking for a mercury-free alternative to tuna. I personally think this tastes even better than the real deal! Unlike traditional tuna fish salad, this version uses protein-rich Greek Yogurt instead of mayonnaise. 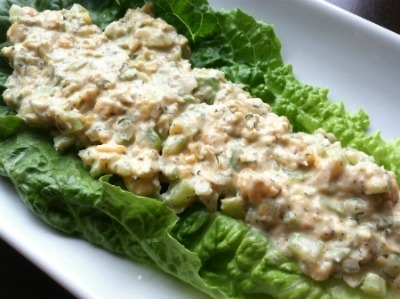 Try it on romaine lettuce leaves for a light, yet filling and satisfying meal without the fishy flavor! Which foods should you buy organic?